Matt Perkins counsels business owners, senior management, boards of directors, and strategic and financial investors regarding significant business transactions, complex legal issues and related business decisions. His practice emphasizes mergers, acquisitions, dispositions, private equity and debt transactions, mezzanine and senior lending, technology licensing, joint ventures, and other corporate transactions. Mr. Perkins has practical experience handling business transactions in a broad spectrum of industries, including software, cable, satellite and internet protocol television, telecommunications, ecommerce, manufacturing, building materials, data centers, construction, distribution and transportation, energy, semiconductors, wholesale and retail, insurance, restaurants and food services, consumer products, and business and financial services. His transactional experience includes deals ranging in size from $1 million to hundreds of millions of dollars, including mergers, acquisitions and dispositions, leveraged buyouts, management buyouts, corporate spin-offs, industry consolidations, early-stage financing, debt financing, and securities offerings. His practice also includes structuring transactions, capital formation, joint ventures, board of director representation, intellectual property licensing and technology transfers, equity and other incentive plans (including senior management compensation), and resolving commercial litigation for business clients. Mr. Perkins has also been named in The Best Lawyers in America© for Corporate Law. He has been practicing law since graduating from Boston University School of Law with honors in 1990. Mr. Perkins is licensed to practice in Florida and Colorado. Prior to joining Davis Graham & Stubbs LLP in 2008, he practiced with Holland & Knight, LLP in Florida (1990–1992), Ballard Spahr in Denver (1992–1996), and was an equity partner at Jacobs Chase in Denver (1996–2008). Prior to law school, Mr. Perkins was a Certified Public Accountant in the audit and tax groups in the Los Angeles office of Deloitte Haskins & Sells (now Deloitte), where he gained a strong background in financial accounting and tax matters. He has acted as an arbitrator for business disputes and serves as an advisor to various boards of directors, entrepreneurs, and investors. Matt has over 25 years of experience representing clients in a broad array of transactions in various industries. A summary of industries and client experience is provided below. KeyBank National Association, Colorado Business Bank, Stonehenge Growth Capital, Silicon Valley Bank, BBVA Compass, Vectra Bank Colorado, U.S. Bank, Wells Fargo Commercial Banking, and Colorado State Bank & Trust, N.A. INVIDI Technologies Corporation in its merger with Inception Holdco, a joint venture controlled by AT&T, DISH Network and WPP/GroupM. See More... INVIDI Technologies Corporation is the leading provider of addressable advertising software solutions for the cable, satellite, and IPTV video distribution networks. 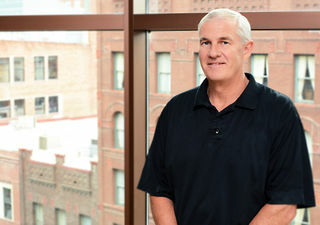 In addition to representing INVIDI in the transaction referenced above, Mr. Perkins and his team have represented INVIDI since its initial capitalization in its venture capital and private equity financings, software licensing, intellectual property strategy, and strategic partner transactions. In addition to his continued corporate representation of INVIDI, Mr. Perkins' role includes managing INVIDI’s intellectual property portfolio, licensing programs, and general corporate matters. INVIDI’s investors prior to its merger with Inception Holdco included Google, NBC Universal, Experian, Motorola, Menlo Ventures, InterWest Partners, EnerTech Capital, Westbury Partners, and other strategic and financial investors. Atrium Windows and Doors, Inc. in its sale to Prime Window Systems, LLC. Larkspur Restaurant & Bar, LLC in its joint venture equity purchase from The Vail Corporation. The shareholders of Vail Honeywagon in its sale to Mountain Waste & Recycling, Inc.
EKS&H in its acquisition of Rivington Financial Services, LLC, et al. The Genesee Group, Inc., in its sale of a division to Jayco Stamping Company of Texas, Inc.
Yorkshire Equity, LLC, a Denver-based private equity group, in its purchase of a leading after-market, high performance truck parts manufacturer. Environmental StoneWorks, the nation’s leading manufacturer and installer of stone veneer products, in its acquisition of Briden Construction and Stone Innovations. Quality Electrical Distribution (QED) in its sale of stock to Sonepar USA. Midwest Express Acquisition, Co. in its acquisition of Midwest Express, a leading transportation and logistics company. Kodiak Building Partners in its private equity and debt financings, as well as its acquisitions of Georgeco, Inc., Factory Builder Stores, Jones Heartz Drywall, New England Building Supply, Gulf & Basco, and other acquisitions. Gallagher Industries in various private equity investments. EKS&H, the region’s largest CPA firm, in its acquisition of Infolink Consulting. J2 Partners, a Boulder-based private equity firm, in its acquisition and financing of Craig Energy Holdings LLC (f/k/a Craig’s Roustabout Service, Inc.), a company specializing in oil and gas field construction, blasting, drilling, trucking, roustabout, disposal, and hydro-excavation services. Denargo Capital, a private equity firm, in its financing and acquisition of Crain Hot Oil Services Inc., a leading provider of trucking operations and safety consulting to oil exploration and production companies. Matrical Bioscience, a design, engineering and production company in its sale to Brooks Automation, Inc. Matrical is a leading provider of instrumentation and consumables for automated bio storage solutions. NDP LLC, an engineering services, systems integration, and technology development outsourcing services company, in its sale to Braxton Holdings, LLC. Bow River Capital Partners, a Denver-based private equity firm, in its acquisition of Ely and Associates of Texas, LLC and Ely Associates, Inc.
Intertech Plastics in its acquisition of assets from Image Molding, Inc.
Premier Medical Corporation, a leading provider of durable medical equipment, in its sale to The Riverside Company. Prairie Disposal Inc., an industry-leading waste management services company, in its sale to R360 Environmental Solutions. Yancey’s Food Service, a family-owned food distribution company, in its sale to Food Services of America. The shareholders of Integrated Petroleum Technologies, an industry-leading independent petroleum engineering services firm, in its recapitalization and sale to Excellere Partners. The management team in its buyout of LocationInsight from InfoNow, and its private equity financing with United Communications Group. CoreSite, a leading data center provider, in its acquisition of Confluent, a carrier-neutral, network-centric collocation provider located in Denver, Colorado. Beneficial Medical Solutions in its acquisition of certain medical device assets and related intellectual property rights. Metron in its sale of its fire pump controls division in the U.S. and in the U.K. to Hubbell Incorporated. The shareholders of Fowler & Peth, Inc., a distributor of residential and commercial roofing products, in their stock sale to Beacon Roofing Supply, Inc.
eWise Group Inc. in its private equity financing to various venture firms. INVIDI Technologies Corporation in its private equity financing offerings with Google, Experian, GroupM, and Motorola, as well as numerous technology licensing and transfer transactions and its intellectual property protection program. Little Pub Holdings, LLC, a holding company that owns and operates restaurants and taverns, in its acquisition of multiple taverns and restaurants and its related financing. Braun BioSystems, Inc., a Denver based electromedical equipment manufacturer, in its merger with Medtronic, Inc.
Udi’s Granola, LLC and Udi’s Healthy Foods, LLC, in their sale of membership interests to a private equity group. Udi’s engages in the business of producing, wholesale distribution and marketing of granola, cereal, and gluten-free baked goods. Genesee A&B, Inc., a Tennessee corporation, in its acquisition of assets of Best-Foam Fabricators, Inc., an Illinois corporation. Genesee specializes in light to medium gauge precision metal components for fabricated or stamped metal components in prototypes, fabrications, short run, medium volume, or mass production quantities. St. Christopher Holdings, Inc., a Delaware corporation, in its stock purchase of Instrument Sales & Service, Inc., an Oregon corporation. ISS is a diversified manufacturing, re-manufacturing and distribution company offering turnkey supply chain solutions for the automotive and capital equipment industries. SlimRock, LLC, a Colorado limited liability company, in its purchase of assets of Cedar Ridge Quarries, LLC, an Arkansas limited liability company. SlimRock is a supplier of high quality natural stones from the Arkansas River Valley in Ozark, Arkansas. Lore International Institute, Inc., a Colorado corporation, in its sale of stock to Korn/Ferry International, a Delaware corporation. Lore International is an industry leader in executive recruitment. Texas E.R. Medical Billing, Inc., a Texas corporation, in its sale of assets to Medical Consultants, Inc., an Oklahoma corporation. TERM provides revenue cycle management services for hospital based emergency physicians, as well as coding, billing, and reimbursement services. Bank financing transactions and restructurings – various middle market loans, credit facilities, restructurings, workouts and recapitalizations for lenders, including U.S. Bank, Wells Fargo, KeyBank, BBVA Compass, Vectra Bank, Silicon Valley Bank, Colorado Business Bank, and others. The purchaser of Laney Directional Drilling, a specialty drilling company, which services the pipeline industry. Laney Directional Drilling specializes in directional drilling for pipelines, utility lines and conduit for fiber optic cables. The stockholders of ElectriTek-AVT, Inc. (Denver) a manufacturer of custom-designed integrated battery assemblies, in its partial sale and recapitalization transaction with Inverness Capital Partners, LP (Philadelphia). The shareholders of Decisioneering, Inc., a Denver-based software company, in its merger with Hyperion Solutions Corporation, based in Santa Clara, California. Robinson Brick Company in its multiple acquisitions and $120 million stock sale to Wienerberger A.G. and its U.S. subsidiary, General Shale Brick, Inc.
Optigas, Inc., a midstream natural gas pipeline operator, in its private equity investments by Kelso Investment Associates and its $85 million stock sale to Ceritas Holdings, LP and RBC Capital Markets Corporation. The shareholders of Environmental Resource Associates, a Colorado corporation, in their $66 million stock sale to Waters Technologies Corporation. Environmental Resource Associates is the industry leader in providing standards for laboratory certification and provides a total solution for the quality control and proficiency testing needs of environmental and pharmaceutical laboratories. Blackhawk Freight Systems in its sale to ForwardAir. Catamount Constructors in its acquisition of MCC Construction Corporation. The shareholders of Colorado Catastrophe & Restoration, Inc. dba COCAT in their partial sale and recapitalization with Progress Equity Partners Ltd. (Dallas). COCAT is one of the largest regional general contractors delivering comprehensive disaster restoration services. Solucar, Inc., a U.S. subsidiary of Solucar Energia, S.A., in its acquisition of Industrial Solar Technology Corporation, a Colorado based company, which is a leader in commercial applications for solar energy. Stonehenge Capital Company, LLC in its investment in Hydro-X, LLC, a company engaged in the sale, distribution, leasing, and servicing of equipment for hydro-excavating activities. The senior management team of Metron in their management buyout of Metron’s business from the company’s largest shareholder. Metron manufactures fire pump controls, power distribution equipment, and packaged pump systems. Miner and Miner, Consulting Engineers in its sale of stock to Telvent GIT, S.A. Miner and Miner provides engineering services for the utility industry, including GIS enterprise solution technology and is a supplier of software solutions to energy and water/wastewater utilities and municipalities around the world. Intrawest Corporation in its stock sale of the Mammoth Ski Resort to Starwood Capital Group in a transaction valued at approximately $365 million. CAD Potential Inc. in its sale to Incat Holdings Inc. Summit Bridge National Investments LLC in its acquisition of Edge Flooring LLC. NextGen Power Systems, an operator of back-up and mobile power systems, in its private equity financing and multiple acquisitions. Future Beef Operations in its $50 million equity offering and its acquisition of assets of Prairieland Processors. DII Semiconductor in its acquisitions of Aspect Technology and SIS Microelectronics. The DII Group in its sale of assets to Hewlett-Packard Company and DOVatron International. Language Management International in multiple acquisitions and its sale of assets to Berlitz International. Corporate Express in multiple public and private equity and debt offerings, including the stock purchase of ASAP Software Express, the $300 million public company merger with U.S. Delivery Systems, and dozens of other mergers and acquisitions. Across Media Networks in its private financings, including with LodgeNet Entertainment and Adelphia Communications. Rocky Mountain Internet in multiple acquisitions and financing transactions, including its purchase of assets from Unicom Communications.